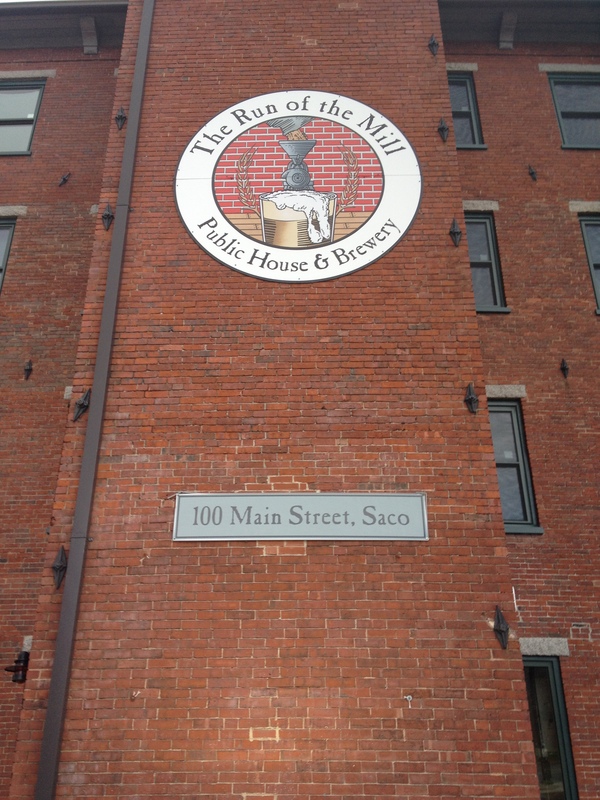 Run of the Mill Public House and Brewery, Saco, ME – Breweries, Wineries and the fun in between! 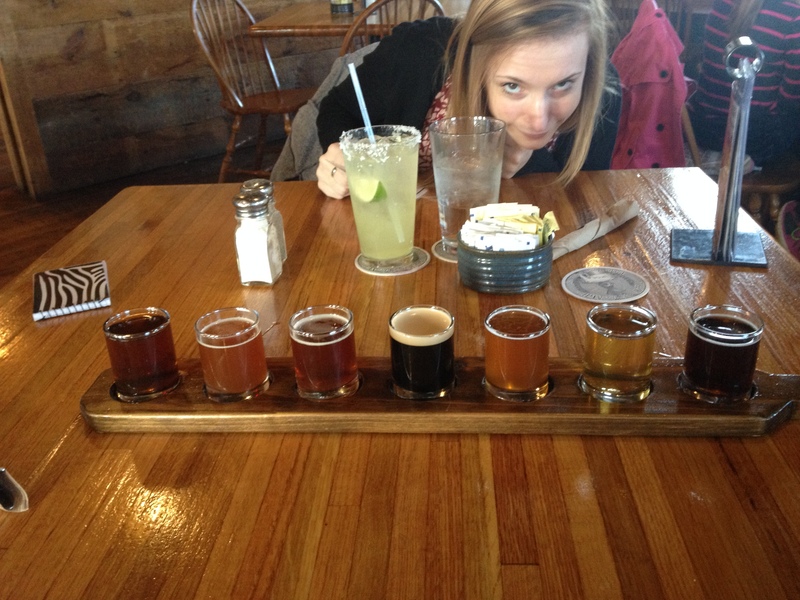 On a recent Sunday afternoon, we decided to take a drive to the Run of the Mill Public House and Brewery, located in Saco, Maine. Taylor has the pleasure of joining us. 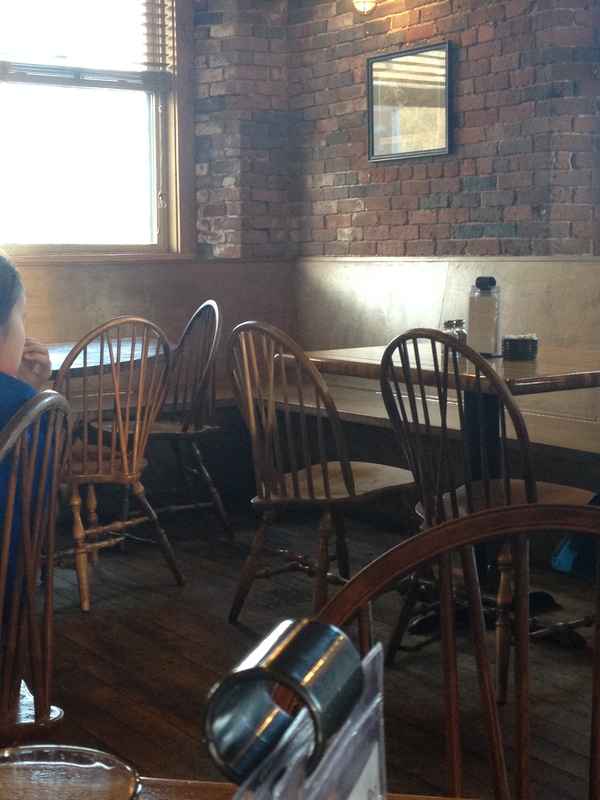 Located in a cool area of Saco, Maine in an old converted Mill. There was a river and other Mill buildings around. We didn’t have too much time to explore, but it seemed like there was other cool stuff around. 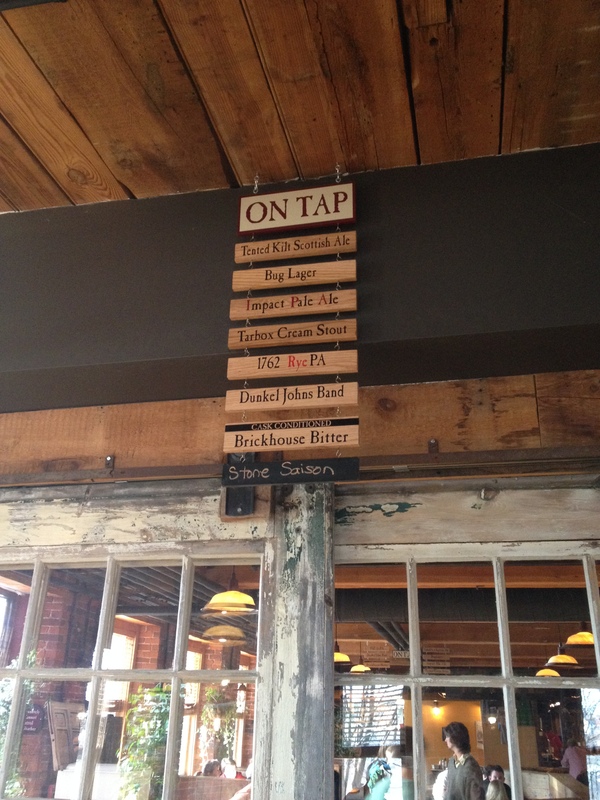 fun and different way of presenting what’s on tap! Light style Scottish ale that made Mark giggle at the name, took Megan and Taylor a minute to get it. Megan didn’t like it. 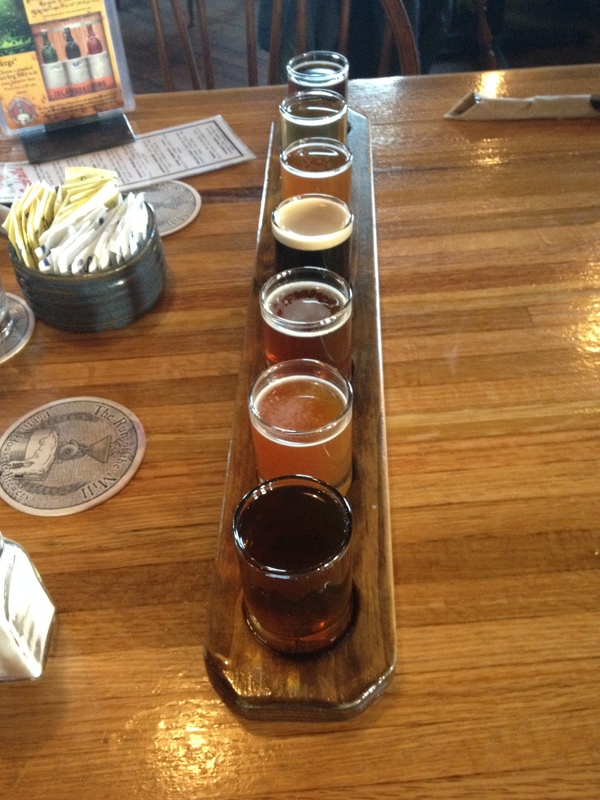 We think it was made just to appease people who don’t like craft beer. Tastes like a cheap beer with a hint of something else, maybe lime. Creamy like the name says, good flavor, almost a light body. Mark enjoyed this, almost a toned down IPA, good flavor, not overly hoppy. A distinctly German beer, kind of plain though. Mark liked it, lighter than expected for a cask conditioned beer. 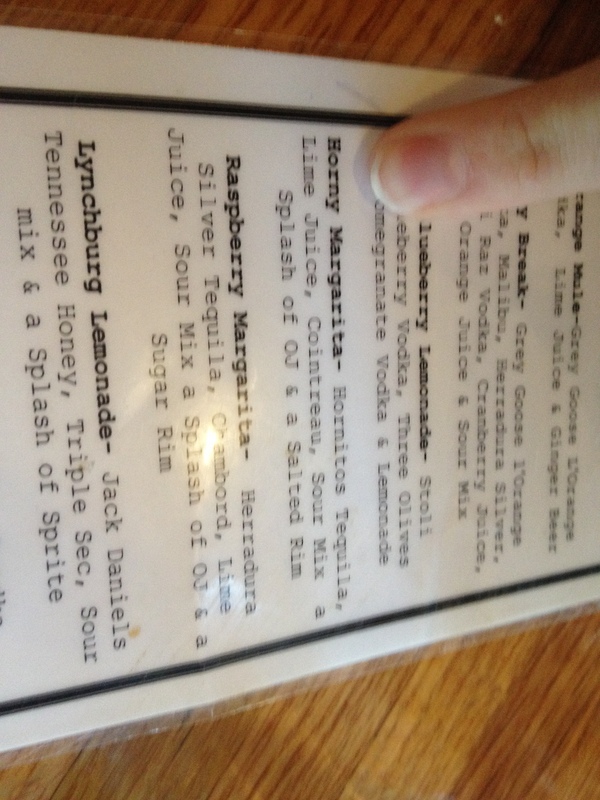 Taylor got the Horny Margarita. 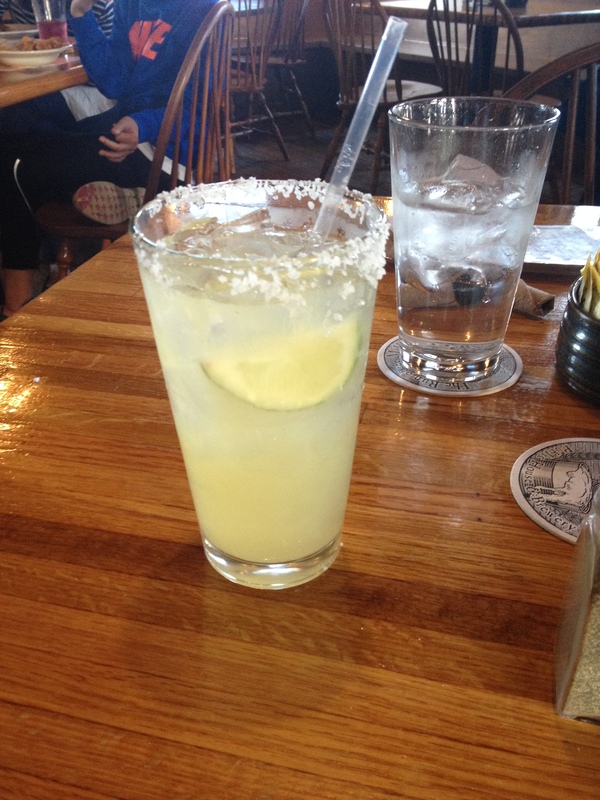 It was the best Margarita she has ever had! 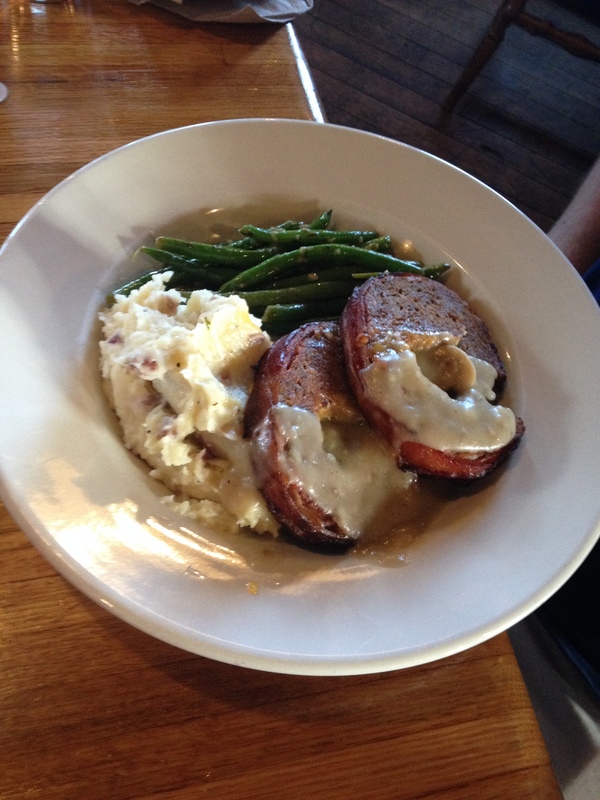 Mark had Not Your Momma’s Meatloaf, really good. 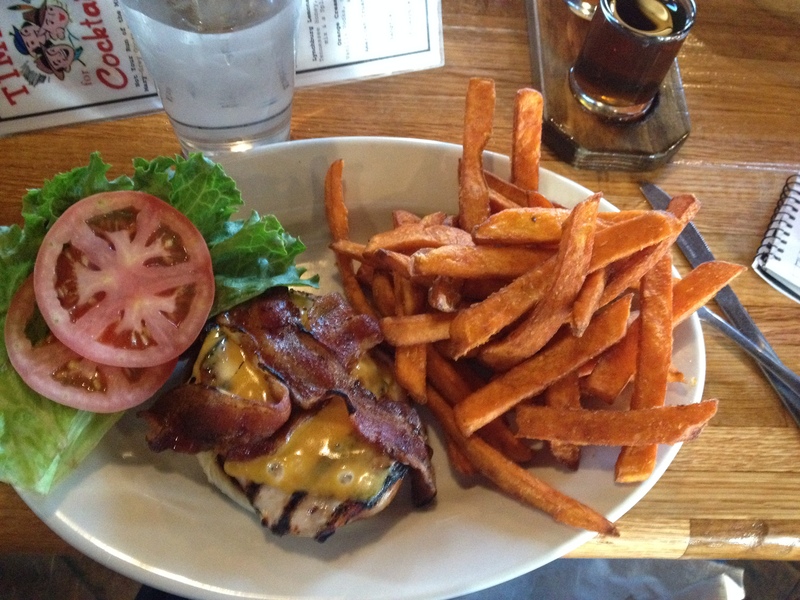 Megan ordered a chicken burger with sweet potato fries. 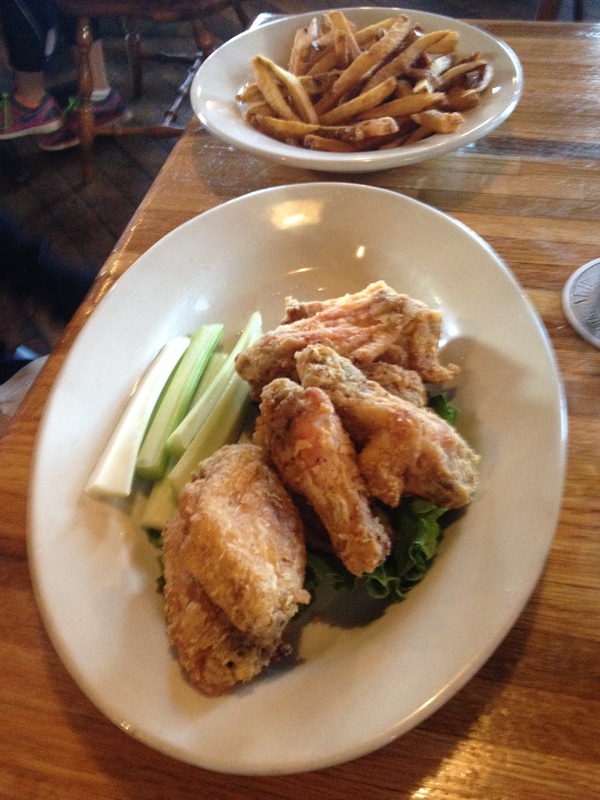 Taylor ordered wings and fries. 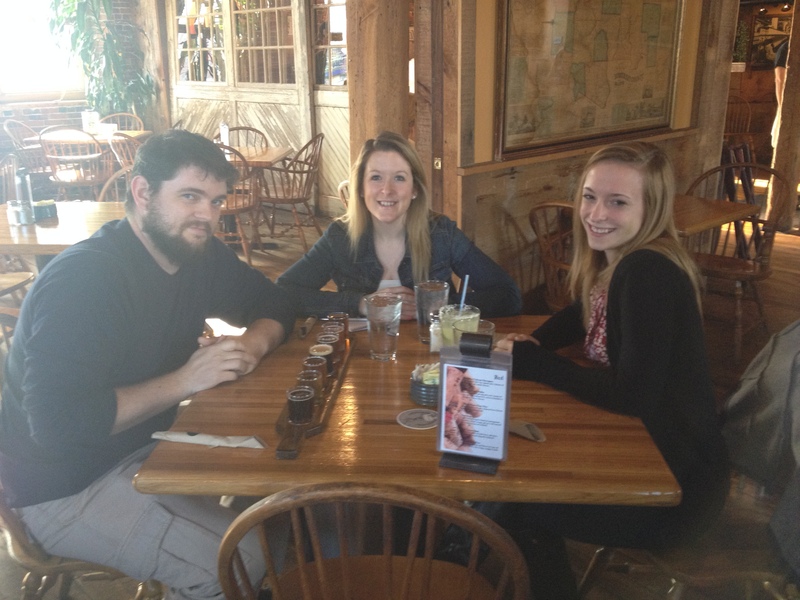 The food came out very quickly and everything was very good. Prices were reasonable. The wait staff was good and very attentive. 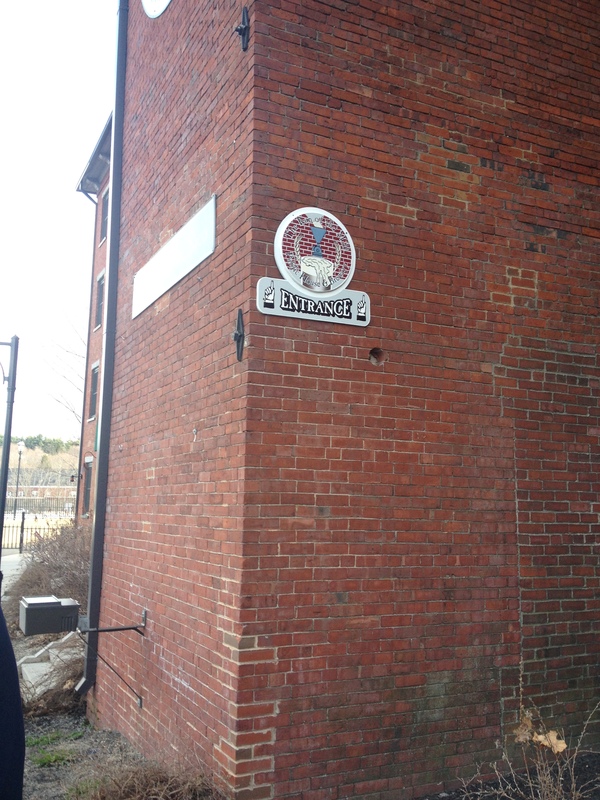 When we lived in Saco we would talk about how those mill buildings needed a brewpub. They announced they were opening right before we decided to move and opened after we put our house on the market. We did manage to get there once before moving and really enjoyed it. 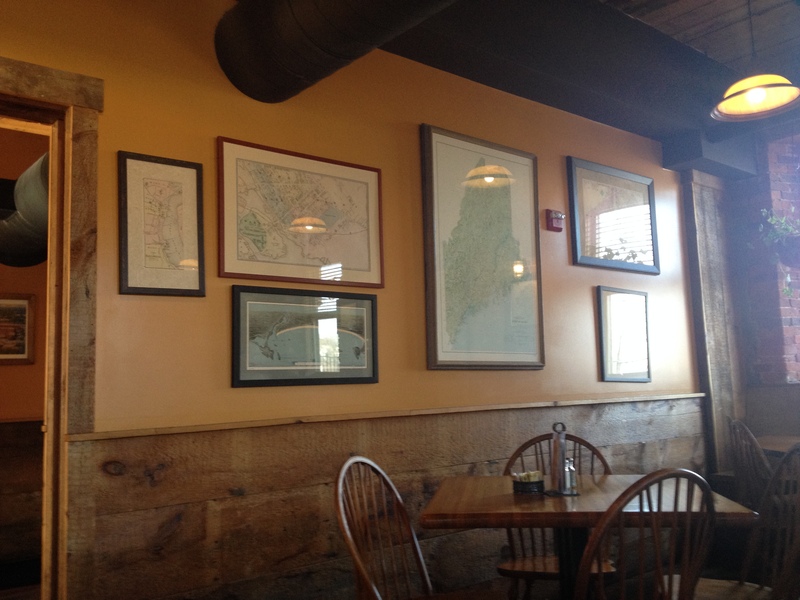 Pingback: The Liberal Cup Public House and Brewery | Breweries, Wineries and the fun in between!